I ask my eight-year old what he knows about Valentine’s Day. His first response is, “It’s about telling people how much they mean to you.” Good answer. He is quick to follow with how much he likes presents along with good things to eat like cookies and chocolates. And he says how much he loves to make Valentines and to receive them. Neither of us really knows where the tradition of Valentine’s Day comes from. I vaguely know there is a Saint Valentine. After a little research, we find out about a legend of a Roman priest in the 3rd century named Valentine. When Caesar banned marriage because he thought single men made better soldiers, Valentine performed marriages for young lovers in secret. In another version, Valentine was imprisoned. He fell in love with the jailer’s daughter who would visit him. He sent her a letter and signed it, “From Your Valentine,” and that expression is still in use today. My son thinks both of those stories are pretty cool. We also learn the fact that over one billion Valentine cards are sent each year. “That’s a lot of love,” he says. 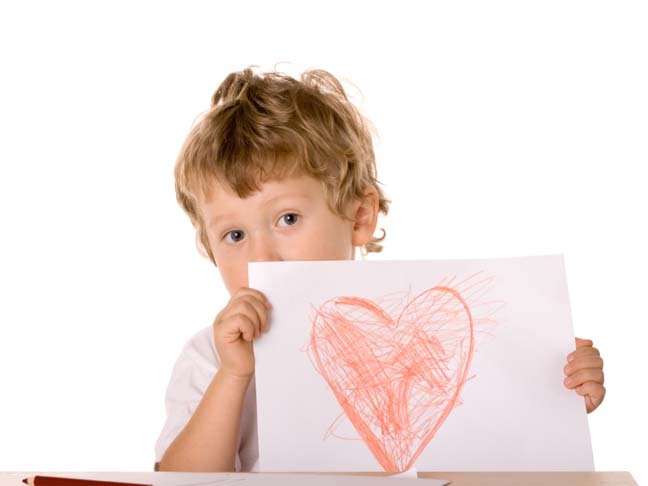 Ask your child where they think the tradition of Valentine’s Day comes from. I’d love to hear their answers.